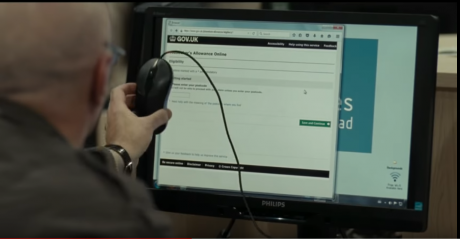 Screenshot: 'I Daniel Blake' - official UK trailer(HD).YouTube. In mid-November, a spectacle little noticed by much of world media unfolded in one of the most affluent countries and one which, not only in jest, claims to have “invented human rights”. 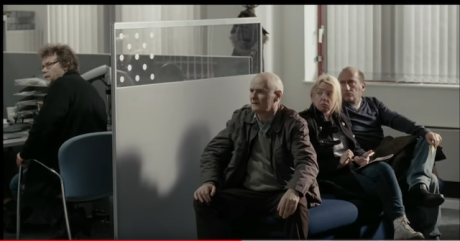 Screenshot: 'I Daniel Blake' - official UK trailer(HD).YouTube.This applies not only to Britain. “Alston’s report follows similar audits of extreme poverty in China, Saudi Arabia, Ghana, Mauritania and the US. Donald Trump’s White House administration launched a furious response after the US was accused of pursuing policies that deliberately forced millions of Americans into financial ruin while lavishing vast riches on the super-wealthy,” as a comment in The Guardian astutely noted. At a time when most governments are trampling on not only vast tracts of lands, forests and mountains belonging to peoples who’ve lived on them for centuries or millennia and selling them off to corporate moneybags and when many illiterate, ill-educated peoples are being coerced into joining a globalized economic system that has little to offer them in return, it has global resonance. In other words, he was acting on principles Britain and a then small host of countries had given themselves. Screenshot: "You're all part of the UN just as much as I am". 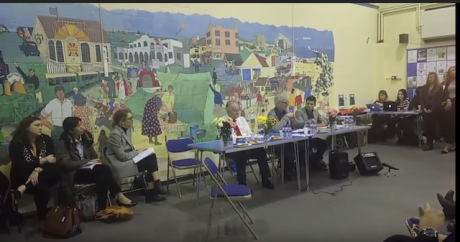 Philip Alston responds to questions from attendees of the Jaywick meeting in Essex, Nov.11, 2018. UK. YouTube. Without going too far back into the antecedents of the ideas and concepts of human rights about which there is much scholarship, suffice it to say that the UDHR is of universal origin. Former Acting United Nations High Commissioner for Human Rights Bertrand G. Ramcharan in his book Contemporary Human Rights Ideas and Sinologist Pierre-Etienne Will along with Mireille Delmas-Marty in their La Chine et la democratie have pointed out that the human rights concepts have been fashioned by different people across time and in various continents. Many writings on the UDHR duly credit the work of Eleanor Roosevelt who chaired the drafting committee, French legal scholar Rene Cassin and Canada’s John Humphrey. The role of P.C. Chang (Zhang Pengchun) and many other intellectuals from China was crucial, Ramcharan has noted. Many others pitched in as Gita Sahgal pointed out in openDemocracy some years ago: Hansa Mehta from India, Shaista Ikramullah and Mohammed Zafrullah Khan from Pakistan, Carlos Romulo of the Philippines and Charles Malik from Lebanon, Ricardo Alfaro of Panama and Hernan Santa Cruz from Chile. The role of P.C. Chang (Zhang Pengchun) and many other intellectuals from China was crucial, Ramcharan has noted. The pithy, 30-article text of the UDHR was later elaborated in the International Covenant on Civil and Political Rights, International Covenant on Economic, Social and Cultural Rights and several more treaties covering the rights of children, women, indigenous peoples, refugees and against torture, racism (in which ought to be included casteism as it is practiced in South Asia) and discrimination on other grounds. In the 1990s, there was talk of “Asian values” being opposed to such universality. The success of Singapore, Malaysia, China and other countries which achieved rapid economic growth while keeping a lid on dissent was projected as an alternative model to liberal democracy. Eventually however economic crises that buttressed East Asia and the rise of Taiwan and South Korea as robust democracies dented the “Asian Values” appeal. But in recent years, alas, talk of human rights, democracy, pluralism, secularism or anti-casteism is becoming hazardous to health. Witness the arrests and assassinations of activists in India, Bangladesh, the Philippines and too many other climes. Anna Politkovskaya in Russia 12 years ago or Gauri Lankesh in India last year are but two among a large number of journalists, activists and human rights defenders who have fallen victims to authoritarian states or intolerant sectarian groups. From Xi Jinping in China to Jair Bolsonaro in Brazil, via their avatars in India, Turkey, Egypt, Hungary, Poland and the United States, regimes ruling over about three-quarters of humanity are becoming, or have already turned, intolerant. In many of these countries, human rights NGOs (non-governmental organisations) are under attack. In China unknown numbers of activists have been jailed or have disappeared while NGO activity has become severely restricted. India has been emulating China in this regard, arresting activists and harassing internationally renowned NGOs. And this at a time when there is increasing need for human rights defence, especially the rights of workers, indigenous peoples, the minorities or members of oppressed castes in South Asia. In most parts of the world, job security is becoming a rarity. Companies and even governments are increasingly relying on contract workers, many of them poorly paid with wages calculated on hourly or daily basis, meaning hardly any holidays or health and insurance cover – a class of ‘precariat’. This is the case not only in many parts of the global South i.e. countries such as India or Bangladesh where a predominant section of workers toil in what is called the “informal sector” but also, in China, whose ruling Communist Party – now communist in name only, given the pro-market policies of the past more than three decades – has effectively smothered freedom of association to the benefit of company apparatchiks. Be it in Australia, India, Canada or Brazil, the rights of indigenous peoples are being circumscribed with varying degrees of repression while activists rising to their defence are dealt with summarily. There is therefore greater need than ever to celebrate December 10, for people including academics and civil society at large to write, organise meetings, demonstrations, street-theatre and other forms of action. And to: "Rage, rage against the dying of the light" as the poet Dylan Thomas wrote. Who wrote the Universal Declaration of Human Rights? Why the precariat is not a “bogus concept”.